When you’re raising twins, the double stroller is more than just another piece of baby gear. It’s your mobile base camp and center of operations. Any time that we plan an outing, from a walk around the block to a seven-day road trip, choosing the right stroller is the first and most important decision. Tandem or double-wide? Do we need a cupholder? How much storage? The problem is that there’s no perfect double stroller, a conclusion we’ve reached by owning three of them simultaneously. 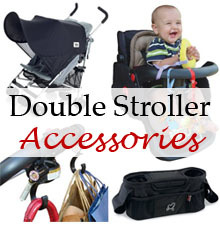 To get everything we need, we take advantage of a few must-have double stroller accessories. In my book, you can never have enough storage and cup holders when you’re going somewhere with kids. We like to stash the keys, garage door opener, cell phones, pacifiers, toys, sippy cups, and other things, but it seems like there’s never enough space. Enter these super-convenient stroller organizers. This stroller organizer gives you two cup holders, a large middle compartment, and several smaller outer pockets for plenty of extra storage. It has an internal frame, which provides a solid structure and makes it easier get things in and out of the cup holders. The Buggy Buddy is another popular option. Key feature: it’s insulated, to keep drinks and food cool. An internal metal frame and four velcro attachment straps make this a solid choice for most tandem strollers. 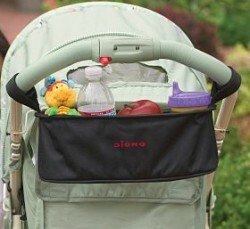 Anchoring important things to the stroller is the key to not losing everything when you’re out and about with twins. Hooks, secure-a-toy straps, and sippy cup grips help us parents of multiples hold it all together (literally and figuratively!). When you’re pushing a stroller, you often don’t have a hand free to hold your purse, diaper bag, or shopping bags. 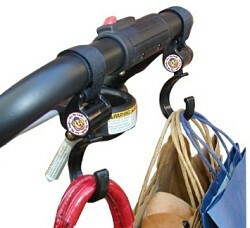 These hooks are the perfect stroller accessory because they’re small, compact, and make a HUGE difference. It is a basic rule of life that anything you give a baby, he or she will soon throw. That’s why these secure-a-toy straps are so handy as a stroller or high chair accessory. They snap on, and hold fast any toys, animals, or teethers your baby might need. • Actually made in the U.S.A. Nothing is more frustrating than seeing a freshly made bottle or sippy cup full of warm milk dropped on the ground, or worse, the floor of a public restroom. The Booginhead securely holds a sippy cup or bottle on a sort of leash to prevent this from happening. 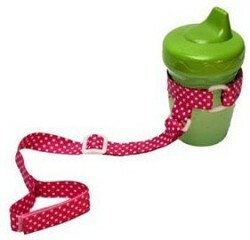 Features: • Rubberized on the inside of the loop that attaches to cup or bottle. 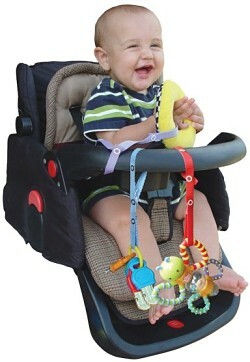 • Adjustable length to fit strollers high chairs, etc. Nature’s a rough place for babies, and while strollers often include a shade or awning, it’s rarely enough. Deck yours out with these shields for sun, rain, and bug protection. This stroller accessory was my inspiration for this entire article. 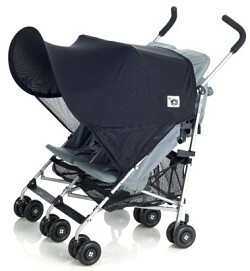 It’s sun shade for canopied double strollers to provide excellent sun and rain protection. The fabric is rated UPF50, the highest rating available, but specially woven to dissipate heat. What I like is that it provides your little ones with complete visibility while protecting them from the sun’s heat and glare. 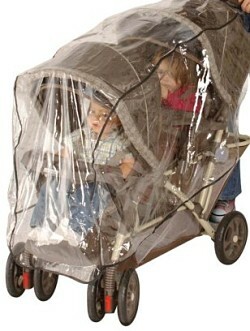 Here’s something to tuck away for a really rainy day: an all-weather shield for your double stroller. This one, made by Jeep, accommodates most tandem strollers and protects against rain, snow, and wind chill. It’s not such a heavy plastic that you can’t fold it up for storage, either, which sets this one apart from other weather shields. Sun and rain aren’t the only outdoor hazard to protect your twins from. When the bugs get bad, a double stroller netting accessory is essential. 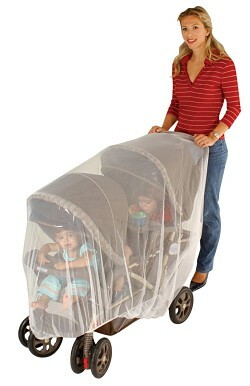 This one, also made by Jeep, fits most double strollers and protects your twins from mosquitoes and other pests. Bonus: it also keeps strangers from touching your little ones when you’re out in public.